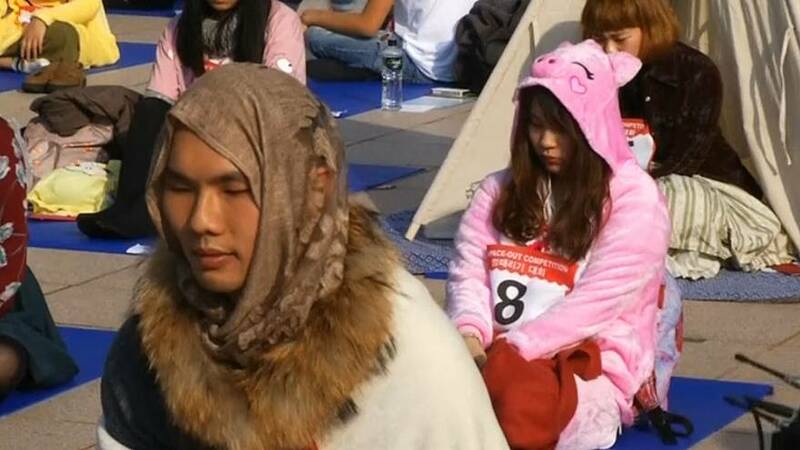 Some 80 contestants fought for the title of "Space-out King" on Sunday (December 10) by doing nothing. The competition's fifth international edition and was won by Chan Kai-Ho, a 24-year-old from Hong Kong who stared into space for 90 minutes to win the prize. Hot weather, bright sun and flies were the hardest obstacles, according to Kai-Ho, who was impressed by his own performance. "I never thought that you could space-out for such a long time, doing nothing," he said. Under the slogan of "Relax Your Brain", competitors are not all to talk, sleep, eat or use any electronic device. The event is meant to call attention to the many distractions and anxiety people may face in their everyday lives.